Aviation Updates Philippines - Star Alliance member EVA Air is set to launch flights between Taipei Taoyuan, Taiwan and Cebu City, Philippines on March 27, 2016. The City of Cebu is EVA Air's second Philippine destination after Manila flying daily. EVA Air flight BR281 departs Taipei at 6:15 AM and arrives Cebu at 9:15 AM. The return flight, BR282 departs Cebu at 11:05 AM and arrives back in Taipei at 2:00 PM. The flight operates every Monday, Tuesday, Thursday and Saturday. Meanwhile, Cebu Pacific Air recently launched flights between Cebu and Taipei on December 17, 2015. 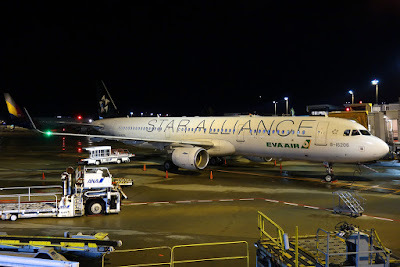 The flight operates every Tuesday, Thursday and Saturday using its 180-seat Airbus A320-200 aircraft. Cebu Pacific Flight 5J 300 departs Cebu at 9:45 PM and arrives in Taipei at 12:25 AM the next day. The return flight, 5J 301 departs Taipei at 1:05 AM and arrives in Cebu at 3:45 AM. EVA Airways Corporation is a Taiwanese international airline based at Taiwan Taoyuan International Airport near Taipei, Taiwan, operating passenger and dedicated cargo services to over 40 international destinations in Asia, Australia, Europe, and North America. EVA Air is largely privately owned and flies a fully international route network. It is the second largest Taiwanese airline. EVA Air is headquartered in Luzhu, Taoyuan City, Taiwan.